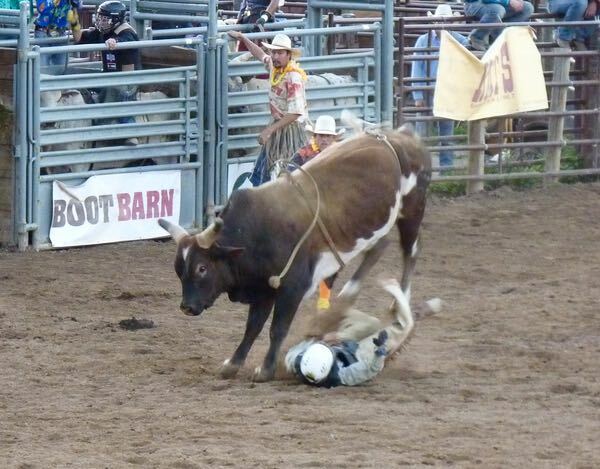 The Wild West Rodeo was small compared to some more well known pro events. But, it was just what I wanted. 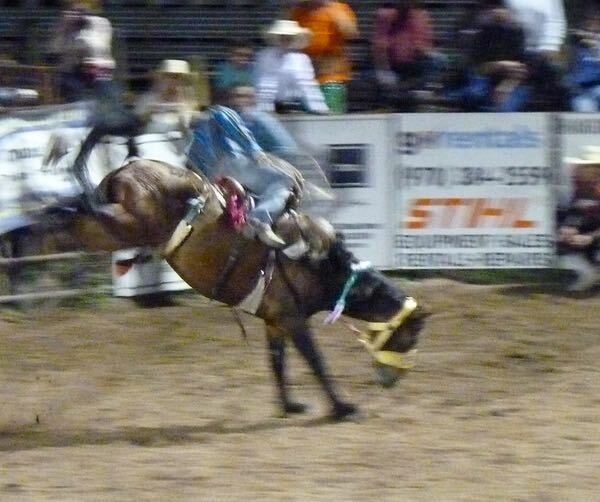 It’s all about testing the skills of cowboys and cowgirls with livestock in some challenging events. Throw in some entertainment, a rodeo clown, skilled spotters to keep everyone safe, some music, and clever commentary by the announcer and you have a wild west rodeo, pardner. Like many sporting events, a rodeo always opens with some pomp, presenting the flag, the national anthem and a prayer. 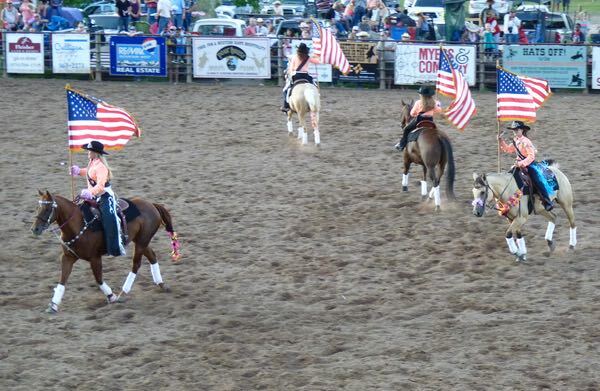 Several fancy dressed cowgirls rode out on horses decked-out and carrying flags. They did a nice routine riding in various formations around the arena. 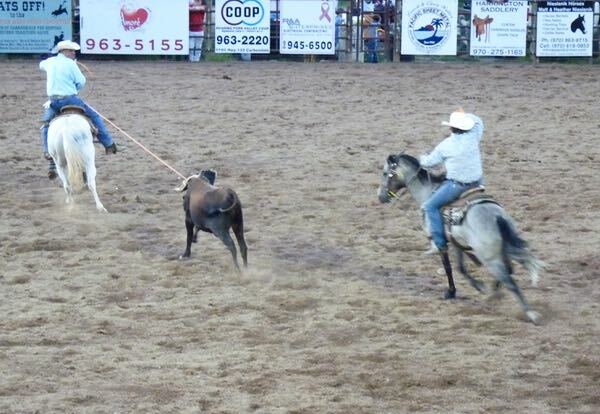 In Team Roping, two cowboys on their horses attempt to rope a steer, one around the head and the other the legs, before it reaches the other end of the arena. 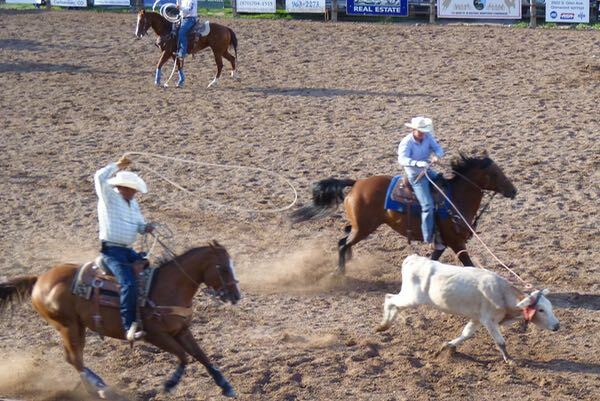 Points are earned for a quick time, a proper snag, and the difficulty of the steer. Sometimes the cattle outwit the cowboys. 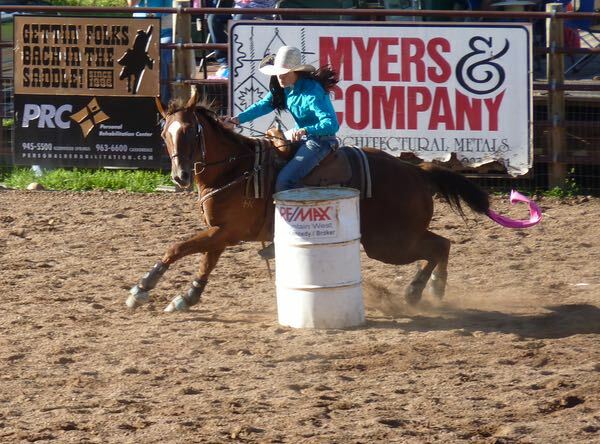 Barrel Racing has cowgirls on horseback race around three barrels, in a prescribed pattern, trying to get close to the barrels and back to the finish line in the quickest time. 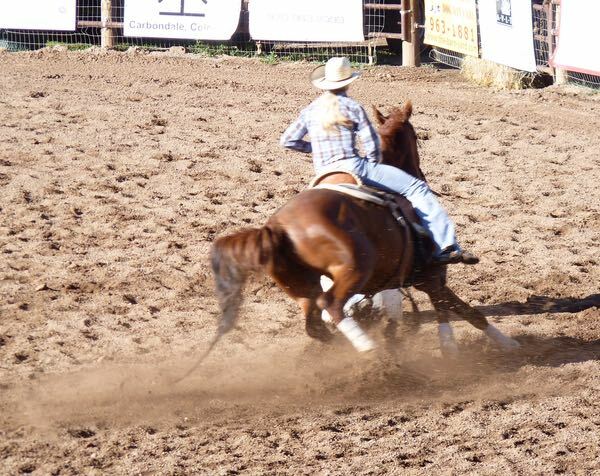 It’s harder than it looks because you need to have a skilled and fast horse and work with it to complete the course. 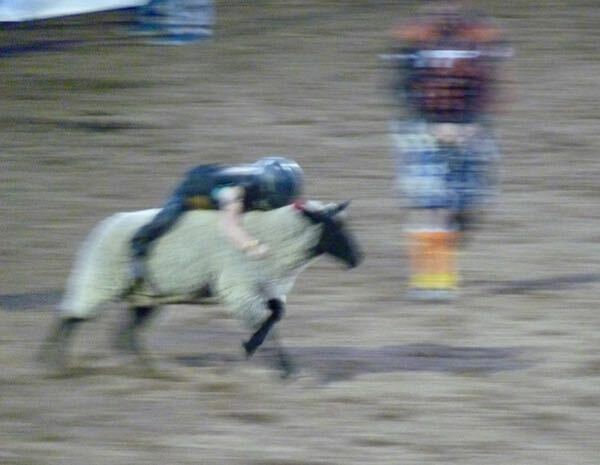 Mutton Busting, or sheep riding, was a fun event with kids as young as four years old trying their luck at staying on. 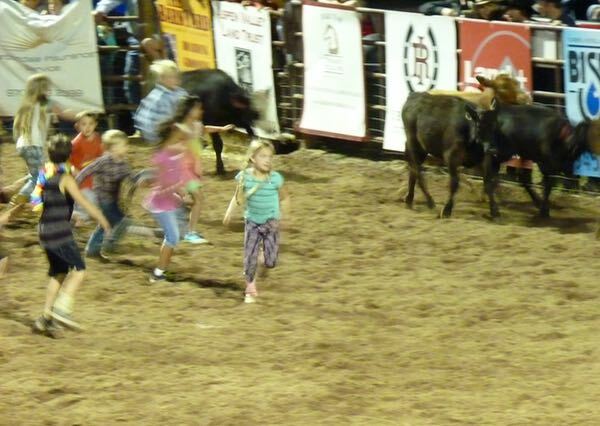 Another event had the children chasing a small herd of steers attempting to retrieve a ribbon tied to the tails of select cows. 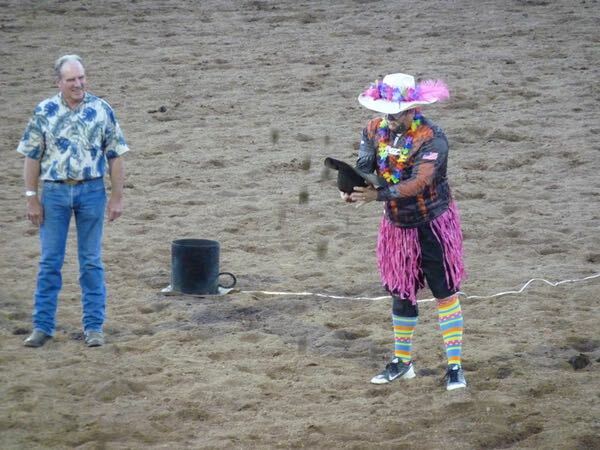 A half-time break had a clown with a routine of cleansing a cowboys hat. It ended up with the hat being dowsed in manure, stomped on, and then dynamited. 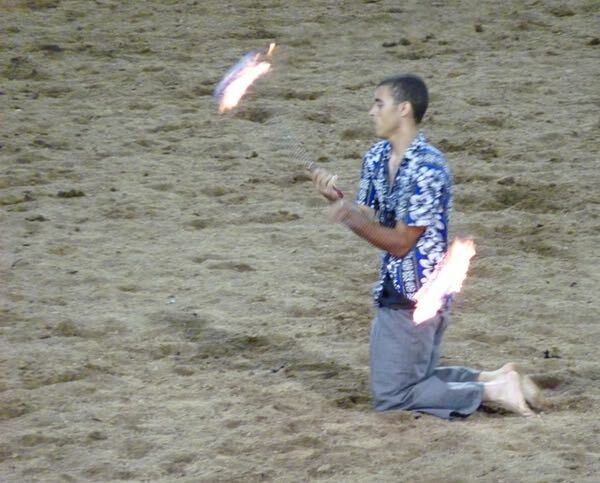 There was also a fire-dancer who performed as it was ‘Hawaiian Night’. 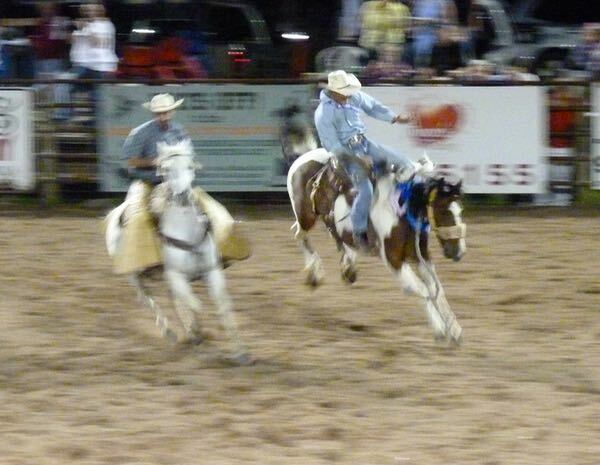 The Bull and Bronco riding were the toughest events, with the steeds twisting, jumping and bucking hard to rid themselves of the rider. Few riders were able to stay on until the buzzer. 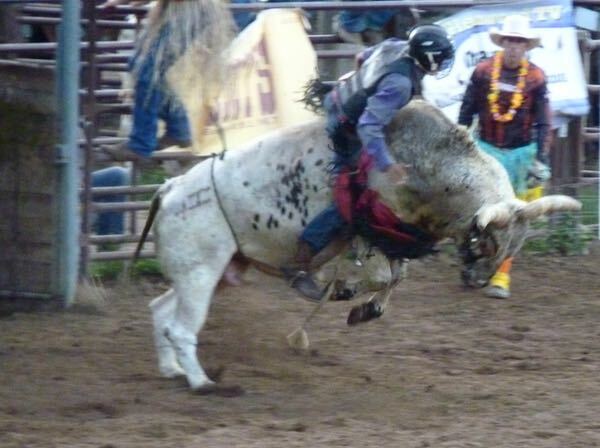 One cowboy was knocked out when he was bucked off, and another almost trampled by a bull. During the break I got a really good bar-b-que pork sandwich. Met some very friendly locals; some who had friends or relatives competing. It was down right fun, entertaining, and even exciting at times.